Tibet week weather updated, Tibet will occur precipitation of different degrees this week. Citizens should get on warm clothes to against the cold weather. Furthermore, drivers should driver carefully and pay attention to the exact road condition. 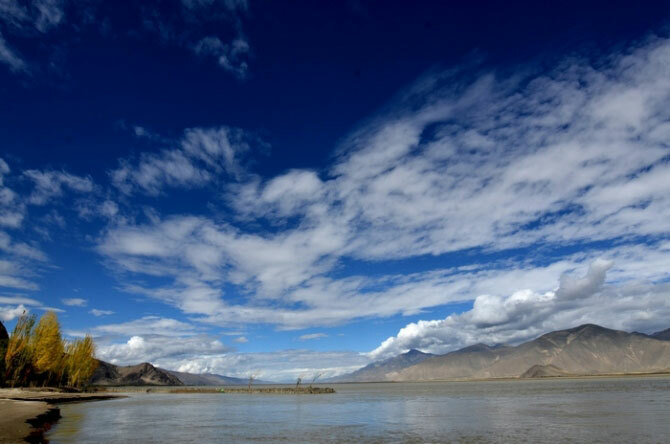 Tibet Weather Forecast Tibet Weather Forecast-Reporters learned from the Tibet Meteorological Bureau that the average temperature of Tibet Autonomous Region is slightly higher with less precipitation this week. According to the regional meteorological station forecast, from Tuesday to Wednesday, Ngari and southwestern Shigatse are cloudy and in some places are snowy (rainy). And, other parts of Tibet has little cloud. From Thursday to Friday, Nyingchi, Qamdo Prefecture and east Nagchu is cloudy while other parts is sunny with little cloud. On weekends, the whole region is sunny with little cloud. Moreover, during this week, there are 7-8 gusts wind in northern Tibet, southern Shigatse and southern Shannan Prefecture. Meanwhile, in Yajiang River valley, there are also 5 gusts wind accompanied with blowing sand and dust. Tips for Citizens and Tibet Travelers Meteorological experts suggested that the relevant departments need to prepare the forest and grassland fire prevention due to the windy weather and dry air. Besides, the official should strengthen the field fire management to prevent accident. And, government should take measures to warn citizens and travelers for precaution. In addition, there are snow covered in Nagchu, Nyingchi, Qamdo Prefecture and other high altitude places. So, people need to pay attention to the traffic impact of icy roads. Any drivers who need to drive through the above places, please slow down and be careful. Plus, citizens and travelers should put on warm clothes and do not go out when the wind is too strong for humans. what's more, the temperature varies much from day and night, and it may drop a lot in the night. So, if possible, stay at home or hotel to keep warm. Do not hang out in the late night. 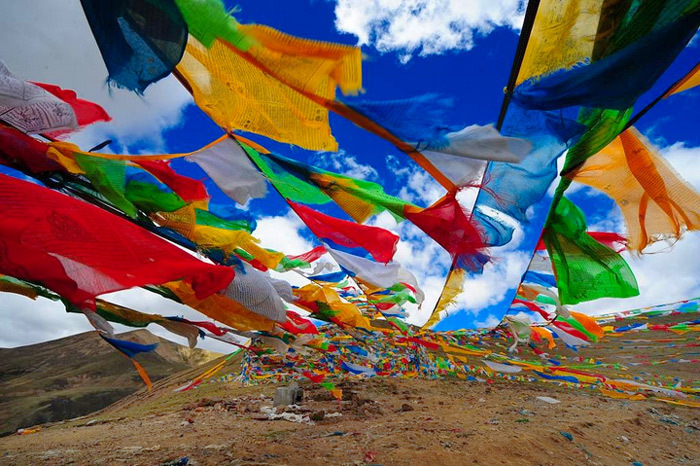 For more Tibet info and tips of Tibet tour, please follow our Tibet Travel Blog here. In this week, gale is prevalent in Tibet weather for most parts. Some parts of high elevation areas have moderate snow. There will be accumulated snow in the border area of Nagqu, Qamdo and Nyingchi, so please be cautious when traveling to these areas. November 14, 2016 was the day that moon reached its closest point to the Earth and appears much bigger than other time. It is said that the full-moon represents the happiness and fullness of family and love story, therefore, many people would love to appreciate the super moon with their loved ones. Many people think that plateau is supposed to be high and cold,and winter is not a tour season for Tibet. 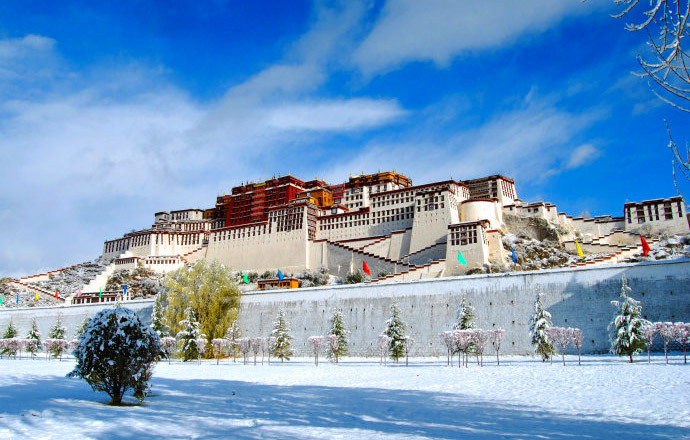 However, in fact, the winter of Tibet has another beauty and worth to visit.With bright blue sky, few tourists, lots of pilgrims and discounted prices, I am sure you will have a great time in Tibet.